Town & Country magazine has been really nice to me this year, featuring my custom printed handkerchiefs awhile back and now highlighting my lucky sixpence cards on their website. Jess & Austin Wedding Package by Austin Petito. 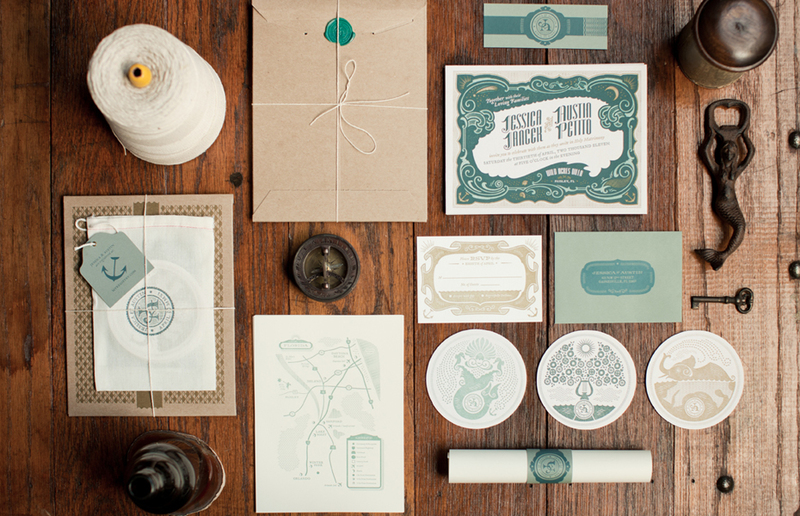 Coasters for Jess & Austin Wedding Package by Austin Petito. Pennsylvania Wedding Invitation by Lydia Nichols. 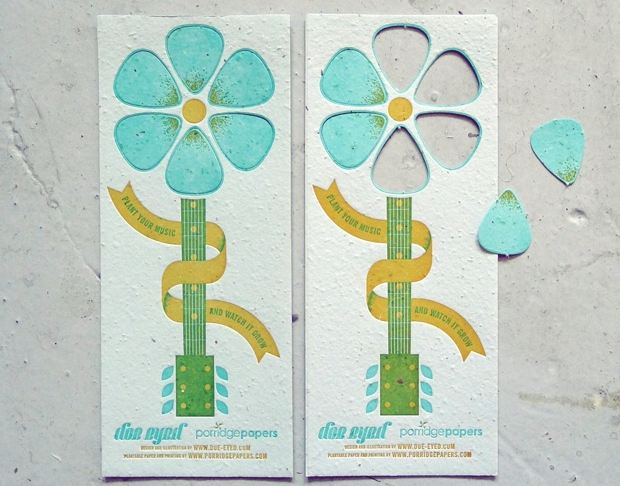 Porridge Papers Crossroads Festival Invitation by Doe-Eyed Design. 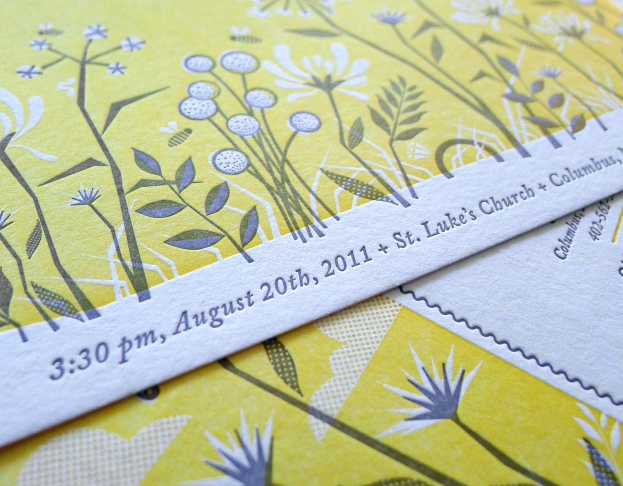 "Garden" Wedding Invitation by Doe-Eyed Design. 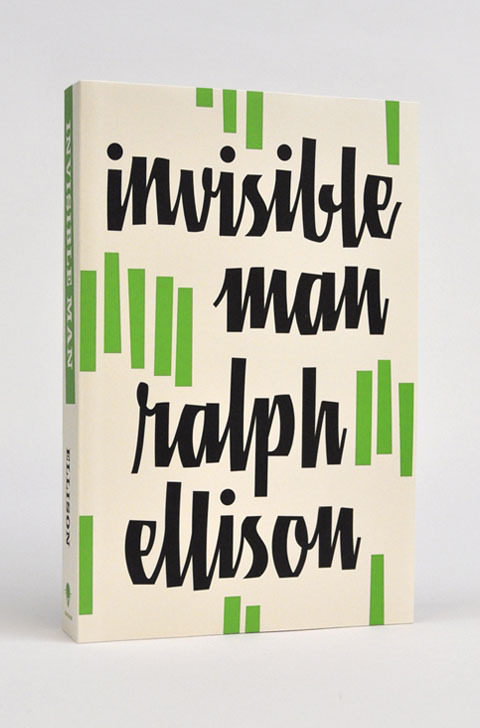 Beautiful Letterpress work. "Garden" Wedding Invitation by Doe-Eyed Design. 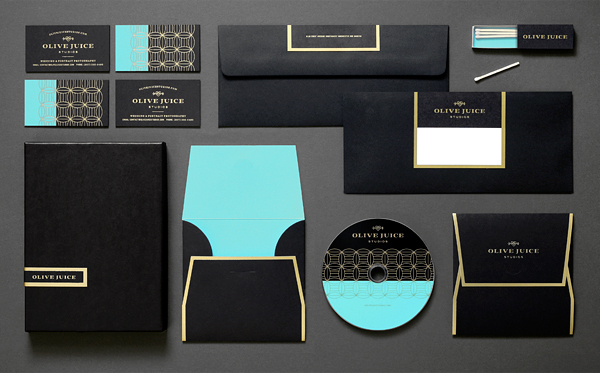 Jam Wedding Suite by Michael Sevilla. In between changing diapers and other general "mom" tasks, I've been working on a whole bunch of new invitation designs. Sometimes I just get an idea in my head and go for it. Other times, I like to see what's out there to be inspired by. 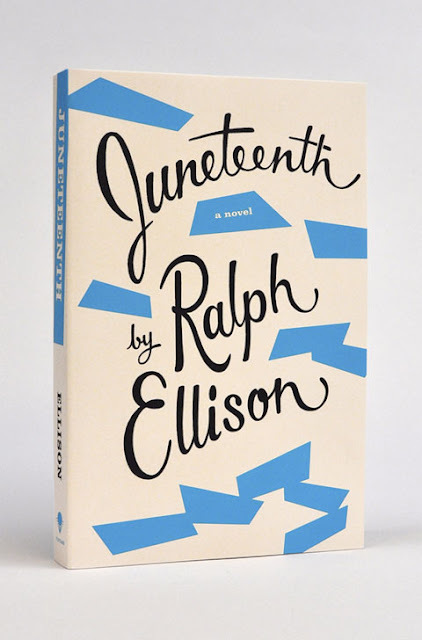 And boy is there a lot of good inspiration out there. Check out some of my recent favorites. 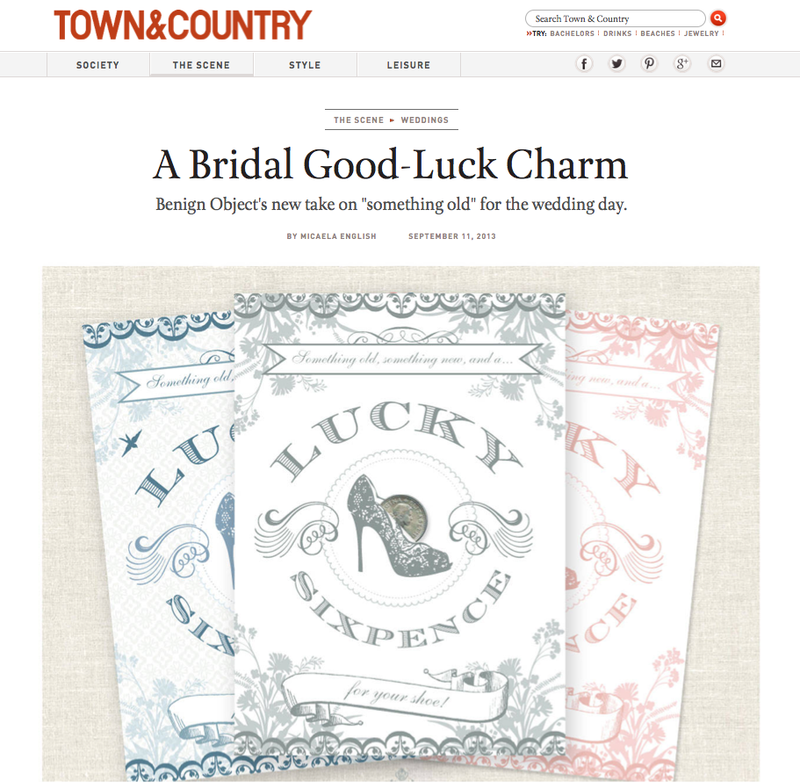 Top two: Austin Petito has a lot of great work on his site, but I'm particularly fond of this wedding suite. 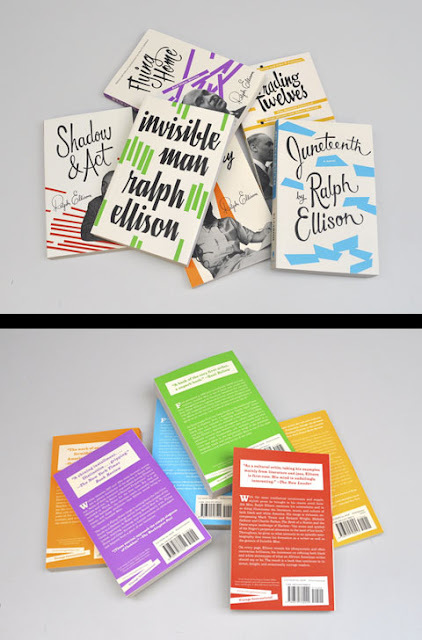 The colors and the letterpress? Just beautiful. 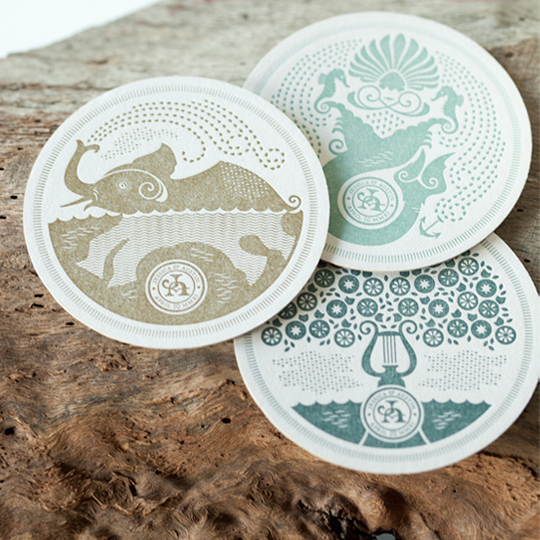 Those coasters are works of art. 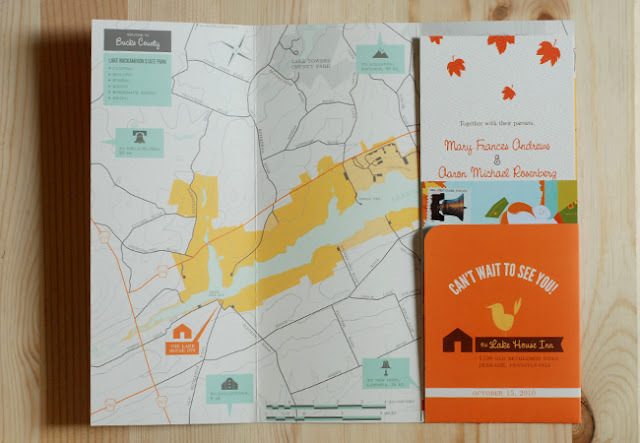 Next two: I LOVE this destination wedding invitation by Lydia Nichols that plays on sightseeing brochures you'd typically see on a rack at a welcome center or hotel. So clever and so functional. I'd love to do something like that. 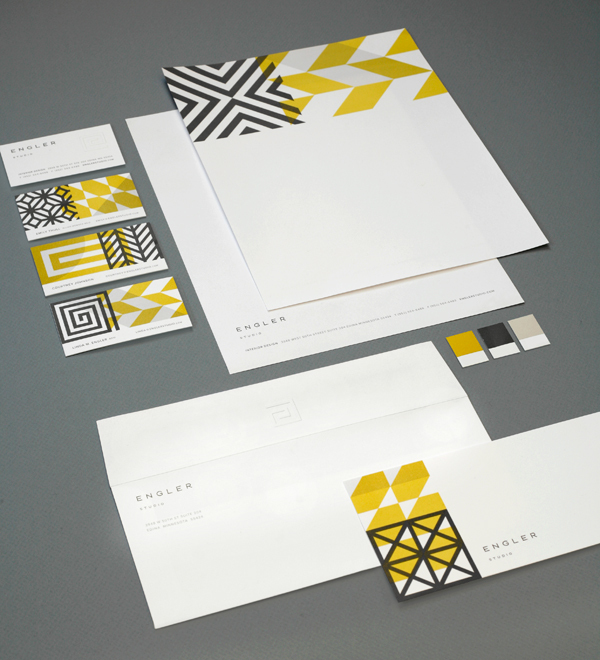 This is a good example of the amazingness that can happenw hen clients trust their designer. Crossroads Festival Invite by Doe-Eyed Design: Hands down one of the best uses of plantable paper I've seen. 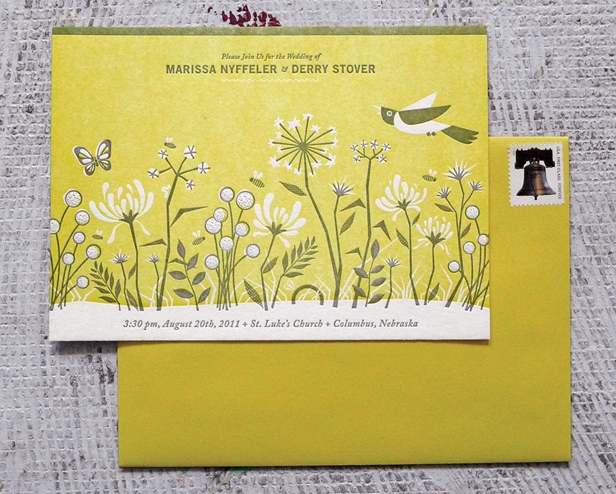 This Garden wedding invitation, also by Doe-Eyed is a lovely combination of illustration, excellent color choices and letterpress. 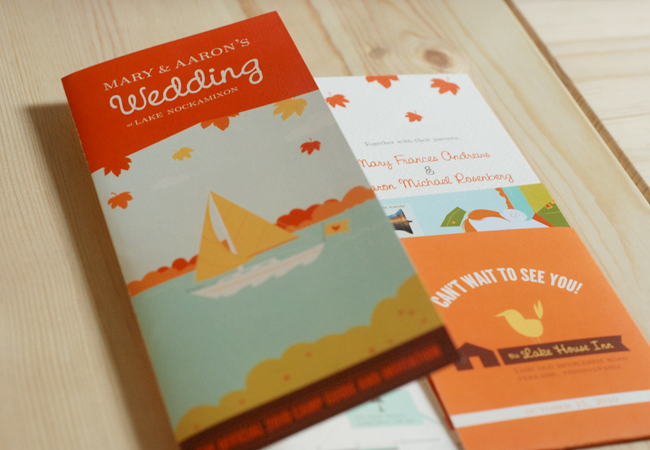 Last but not least is this super cozy and warm wedding suite by Michael Sevilla. 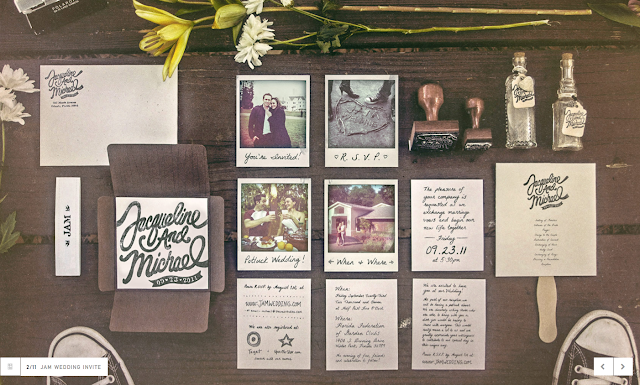 Love the hand drawn type and the "polaroids" as information cards. Brilliant and resourceful. 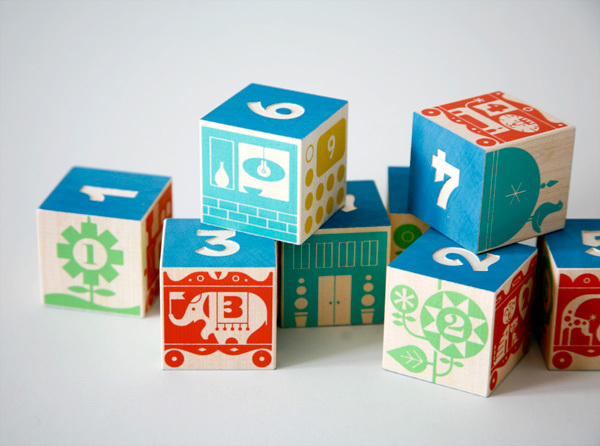 Now I've got to get back to designing while the wee one sleeps! I love these covers Cardon Webb designed for Ralph Ellison's body of work and think they need to find a home in my library! Since I was a little girl, I loved, loved, loved getting mail. I'd get excited to go to the mailbox each day and, well, usually nothing for me. Maybe an American Girl catalog would show up and I would pore over it. And now, as an adult, it's mostly just bills. 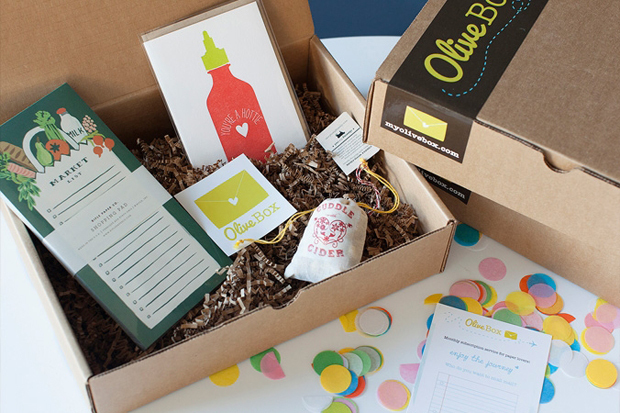 So, being the paper and mail lover that I am, I was so excited to discover Olive Box awhile back. I can't remember how I came across it, but I'm so glad I did. 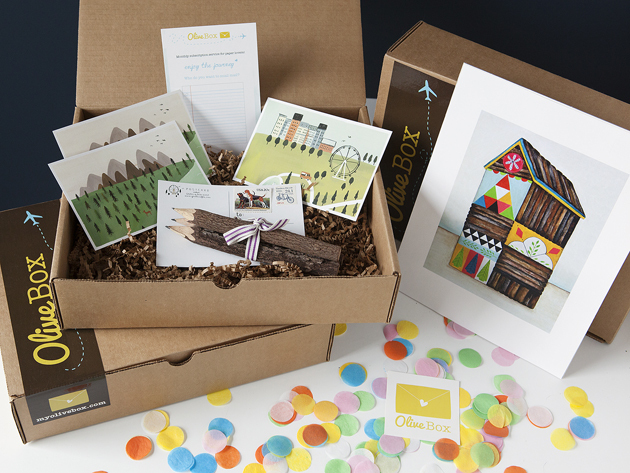 Each month a sweet little box shows up on my doorstep packed with paper goods, books, etc. 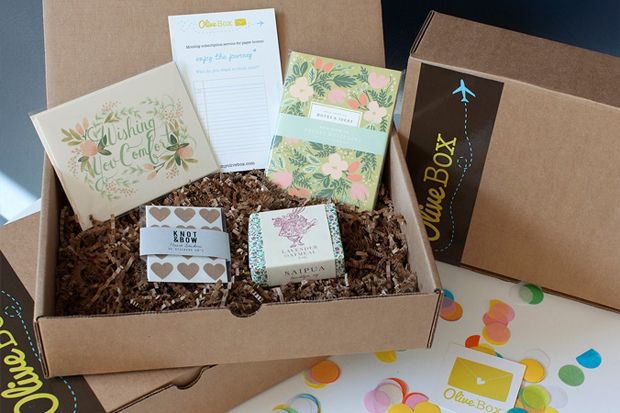 This month's box was particularly wonderful with a notebook from Rifle Paper Co., cute little covered thumbtacks from Girl of All Work and a set of floral notecards from Fawnsberg. Do you all subscribe to any monthly delivery services? I'd love to know of any goodies I might be missing. Photo on left is from clipart.com. Photo on right by Michael Spencer. The other day I wrote a little tidbit for my personal blog and needed a photo to go with it. It had been awhile since I'd played in Photoshop so I decided to flex my Photoshop fingers and whip up a composite to accompany my prose. I'm a little rusty, but it was mostly fun and turned out almost as I envisioned it. I used the two (royalty free, cc licensed) color photos above to make the photo at top along with a bunch of filters and The Pioneer Woman's actions. 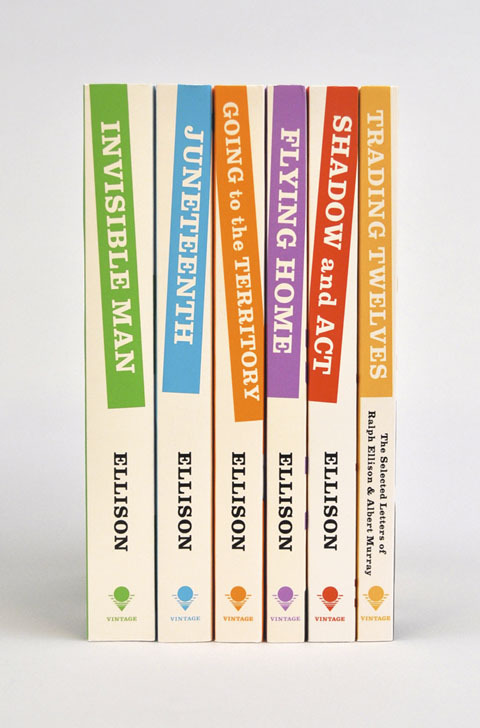 (You can get them for free here.) The action I used was the b&w and then I added several extra quick edge burn layers. 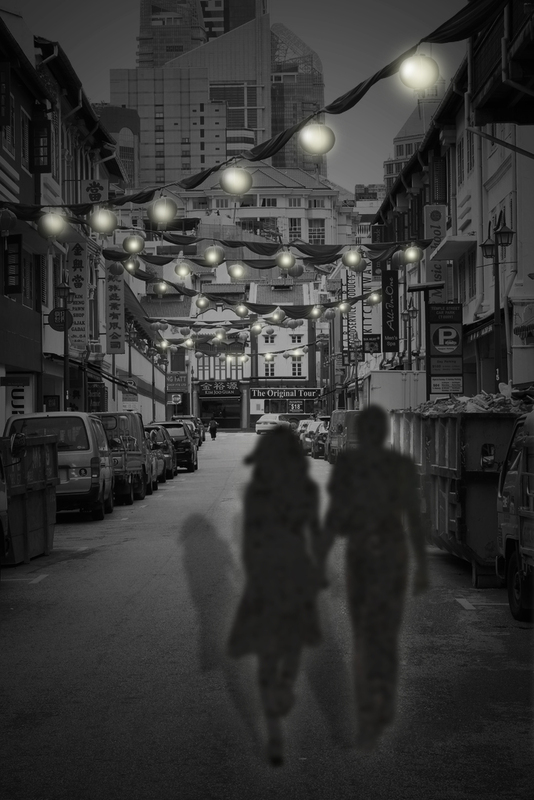 I used Photoshop's patch tool to get rid of the two girls in the Chinatown photo and then cut out the couple, pasted them in their place and dropped a bunch of textures on them to mae them seem almost ghostly. I also used the paint brush to dollop circles of "light" in some of the hanging lanterns and then gaussian blur and glowing edges to soften them into a glow. I wanted a moody, ethereal feel, and I think I mostly accomplished that. I can see some areas that could use a little more work, but for something done between rocking a baby, I'll take it! Oh, hello there. Good to see you all again! I was busy having a baby and then adjusting to having a baby. And, to be honest, I'm still adjusting to having a baby, but I'm going to try to ease back into blogging. What's new with you all? I am so out of the loop! But I was excited to see all of this gorgeous new work one of my favorite design studios, Eight Hour Day, has been creating. 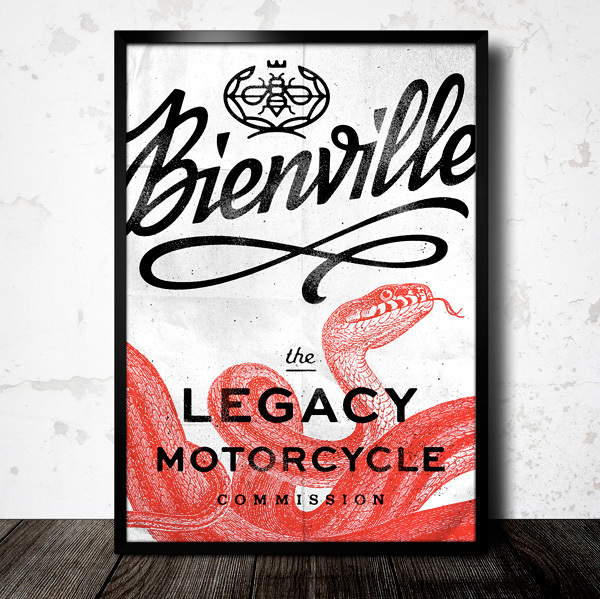 It gets me all excited to start on my own design work again. Love Prescription Jars free printable by Benign Objects. Hi everyone! 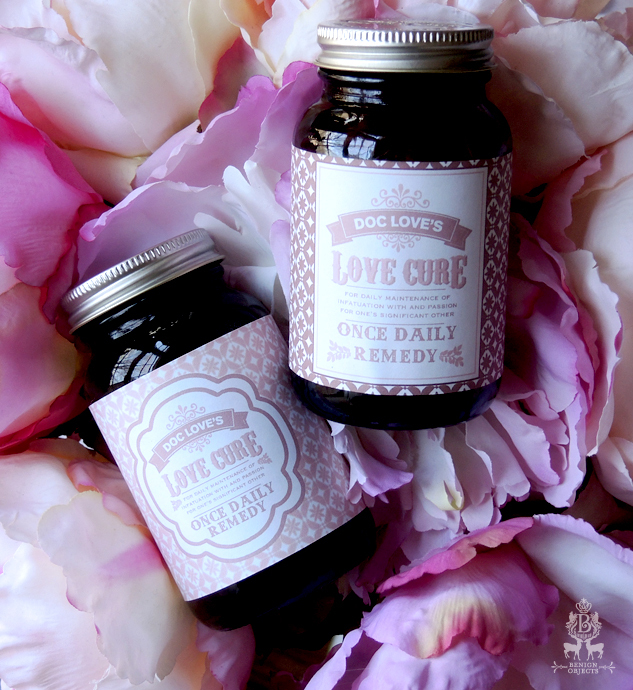 I wanted to share a super easy, quick Valentines Day DIY project I created for you all: a prescription for love. 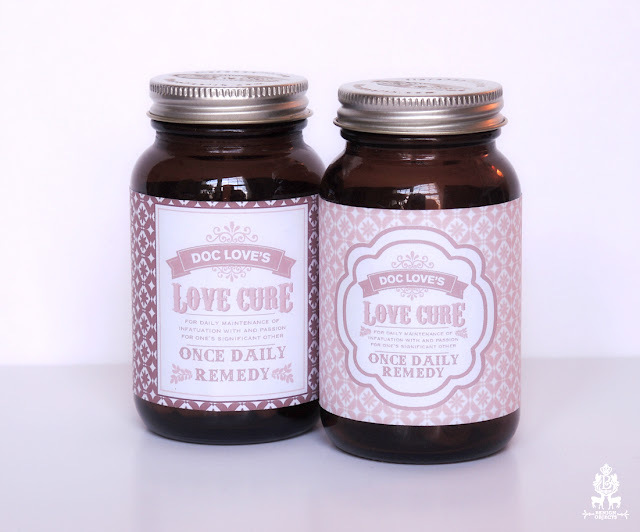 To give someone a daily dose of love, just download, print out and trim the labels I created for you all (3 different design options), then glue or tape them to an empty vitamin or pill bottle (I used an empty glass probiotic bottle. Yay for probiotics!). 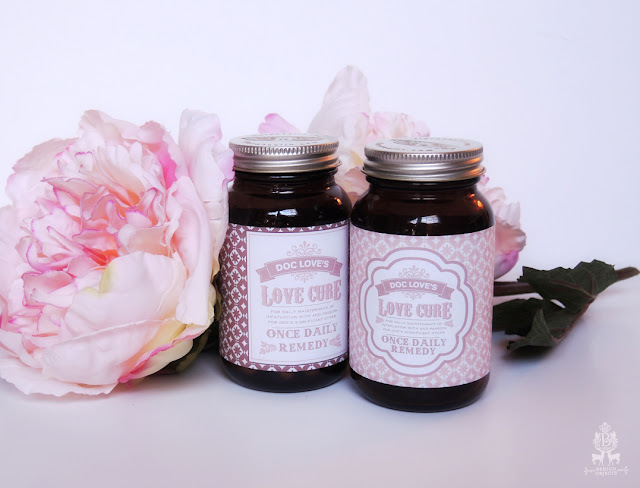 Then just write some sweet nothings, happy memories or love quotes on bits of paper and tuck them into the bottle. If you're really fancy, you can get some gel caps to put the paper in and then put those in the bottle. I told you it was simple. It would be a great project for children, too. You can download a PDF with all 3 labels by clicking here. **As I get this post prepared for publishing, I am getting ready to go to the hospital to have my labor induced. It's our first child and I'm really nervous! Labor induction was not the route I wanted to go, but it has been deemed necessary and so I am trying to roll with the punches and adjust my attitude as best I can. Also, because I'm going in on a Sunday, I'm going to miss the newest episode of Downton Abbey. Le sigh! I hope to be back with you all soon!